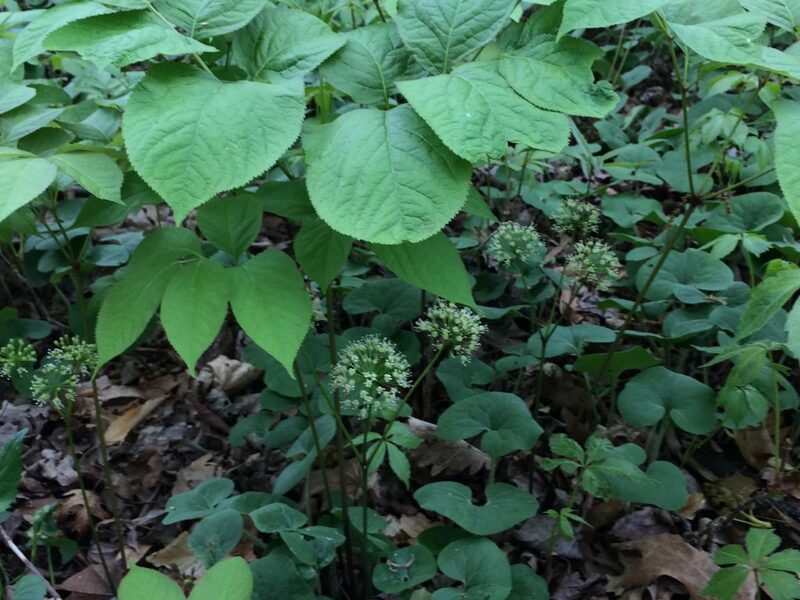 Aralia genus includes herbs, shrubs and small trees. Aralia nudicaulis.flower close-up.floreduquebec.ca (Accessed 10/2016). 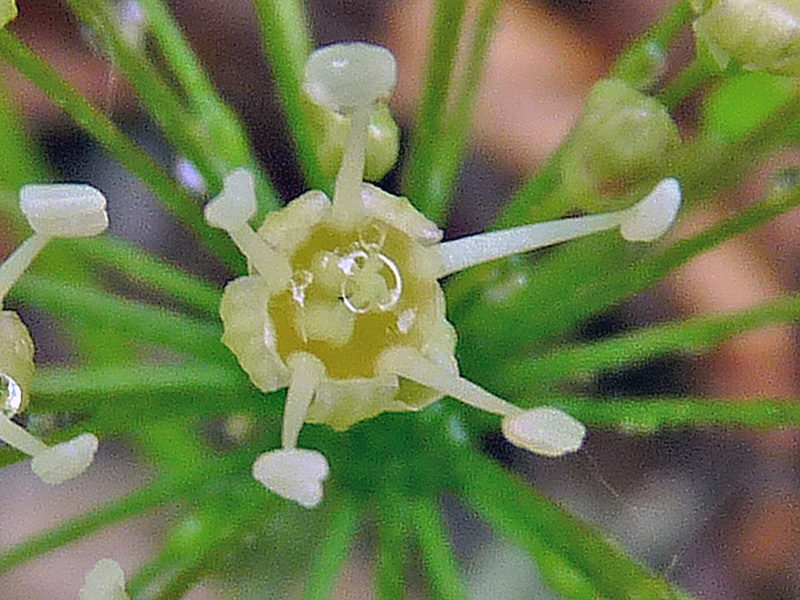 Flowers small, greenish-white, 5-parted, radially symmetrical in panicles. 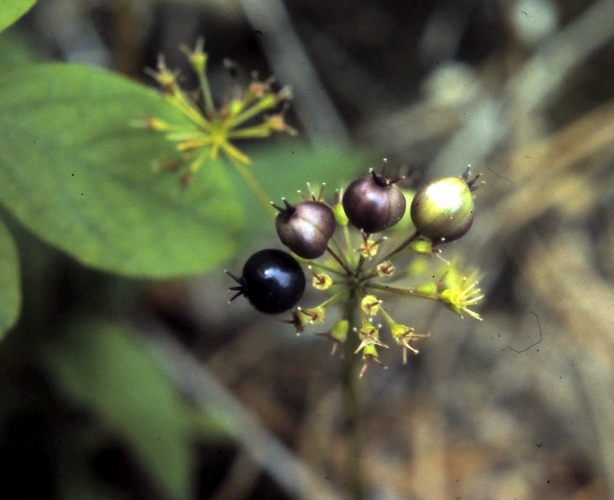 Fruit fleshy, dark purple-black, with several seeds with hard outer coatings (pyrenes). Dispersed by birds.